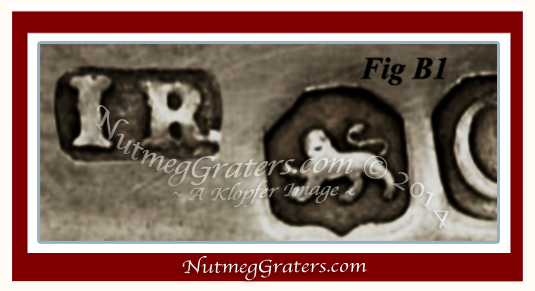 One silver lid was formed into a rough grating surface by perforating the silver in concentric circle (Fig A1). A silver grating surface is an unusual feature, typically dating prior to Circa 1750. The second lid can be opened via a sliding tab with thumb piece (Figs A2 & A3). 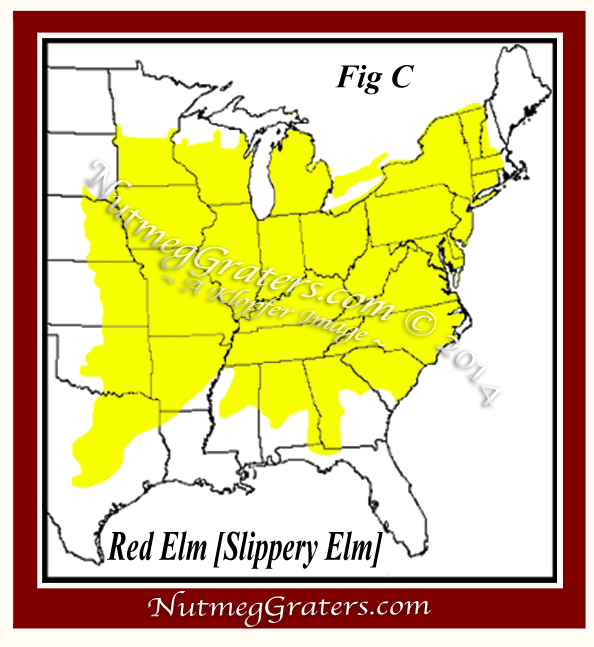 The sliding tab allows a nutmeg to be stored inside. 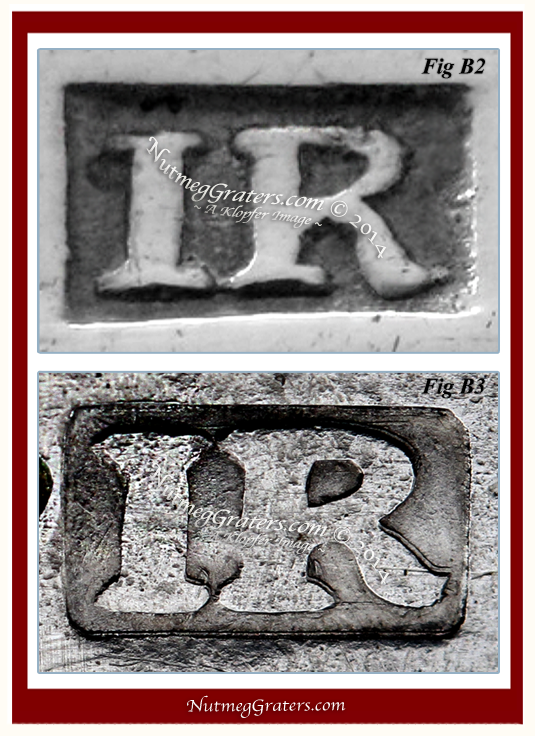 A maker's mark [I R] (Figs A1 & B3) is impressed on the under surface of the sliding tab. MAKER MARK ANALYISIS ~. A Spurious Maker's Mark. This uniquely styled nutmeg grater appears to bear a "spurious maker's mark"; purportedly attributed to Joseph Richardson Sr. of Philadelphia (1711~1784). Not withstanding the forged maker's mark, the genuine silversmith remains "unknown".